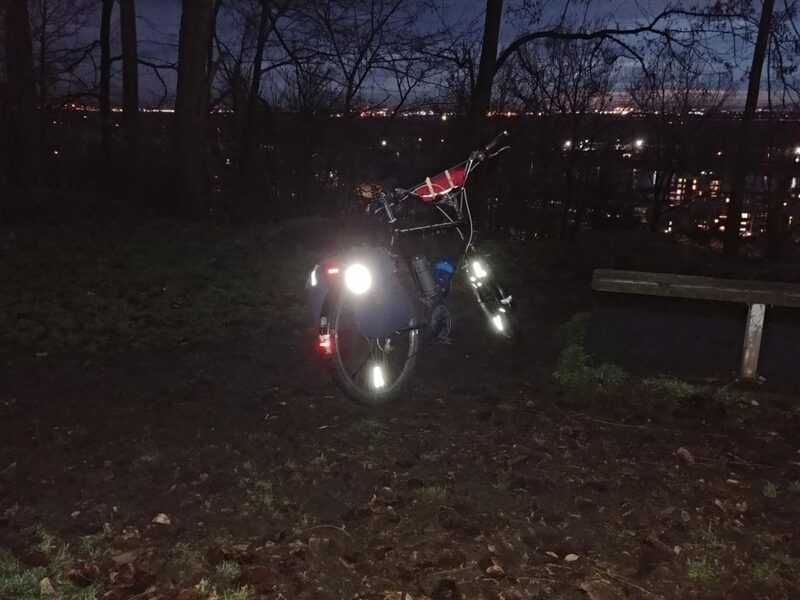 So you just went online and searched out the absolute brightest bike light you could find. You bought yourself a couple of super bring rear lights and strapped them on. You absolutely want to be seen, so you set everything to flashing mode and you’re out the door on your way. Great, right?? Annoying right? Like you can barely stand to look at your screen right now? Yeeeep. Bike bullies: Turn off those blinking lights! While you see lots and lots of cyclists out there running flashing lights all around we really, REALLY recommend that you don’t be that person. If you come out on a group ride with flashing lights, don’t be surprised if someone asks you to turn them off! When it comes to being seen we usually worry about cars more than anything. Thankfully cars typically have bright headlights meaning reflectors are an excellent way to catch their attention without annoying anyone. The bike above has nothing more than a couple of strips of DOT reflective tape and a few spoke reflectors, yet it stands out nice and bright! 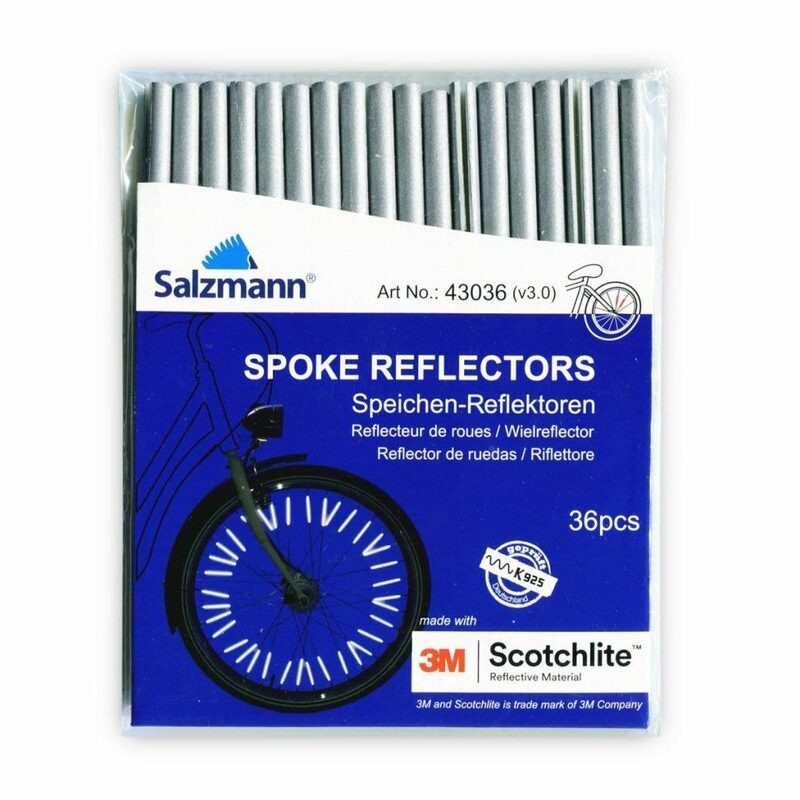 I quite like spoke reflectors personally – they’re barely visible during the day, but they’re highly effective at night. Since they’re attached to your wheels, they catch driver’s attention better than stationary reflectors. Best of all they’re cheap, and they don’t get stolen when you leave your bike locked up! 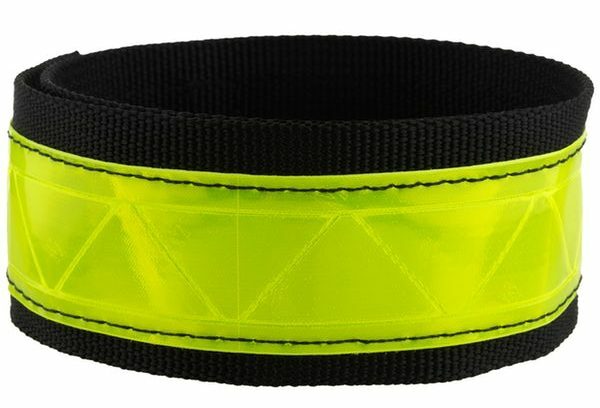 Reflective stuff will give you the confidence to ‘be seen’, won’t get stolen and doesn’t need to be charged – how great is that? ?